Move-in ready brick rancher. All of the major systems have been replaced in the last 3 years including a new roof, new HVAC and ductwork, new hot water heater, new windows, new garage door, new insulation in the attic, new ceiling in the garage, new flooring in the main living area and kitchen and new no-step whirlpool tub. Small portion of the backyard has recently been fenced in and is ready for kids, a pet or afternoon cookouts, but a large portion of the yard is to the right of the home and is ready for your additions or ideas. Call today to make this your new home! 130 Seagraves Drive, Athens GA 30605 is a Home, with 3 bedrooms which is recently sold, it has 1,388 sqft, .51-1 sized lot, and Attached,Garage parking. 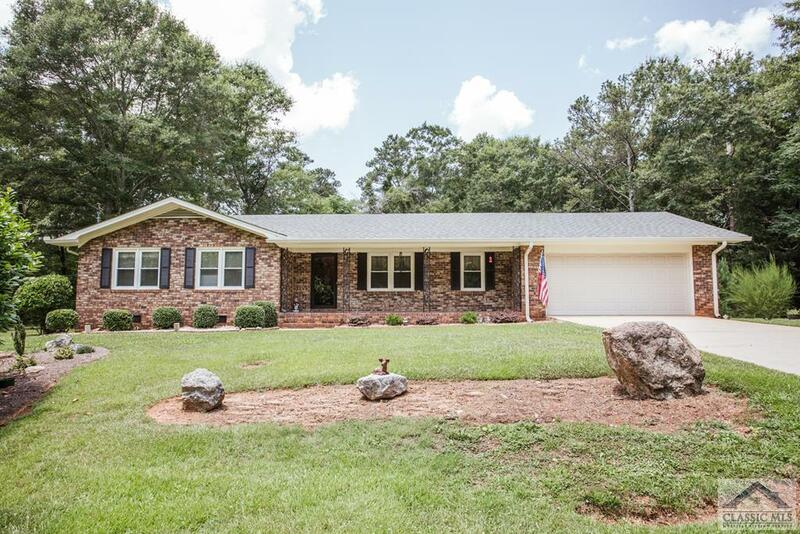 A comparable Home, has 4 bedrooms and 2 baths, it was built in and is located at 3605 Barnett Shoals Road Athens GA 30605 and for sale by its owner at $ 399,000. This home is located in the city of Athens , in zip code 30605, this Clarke County Home, it is in the No Recorded Subdivision Subdivision, and Appleby Mews are nearby neighborhoods.